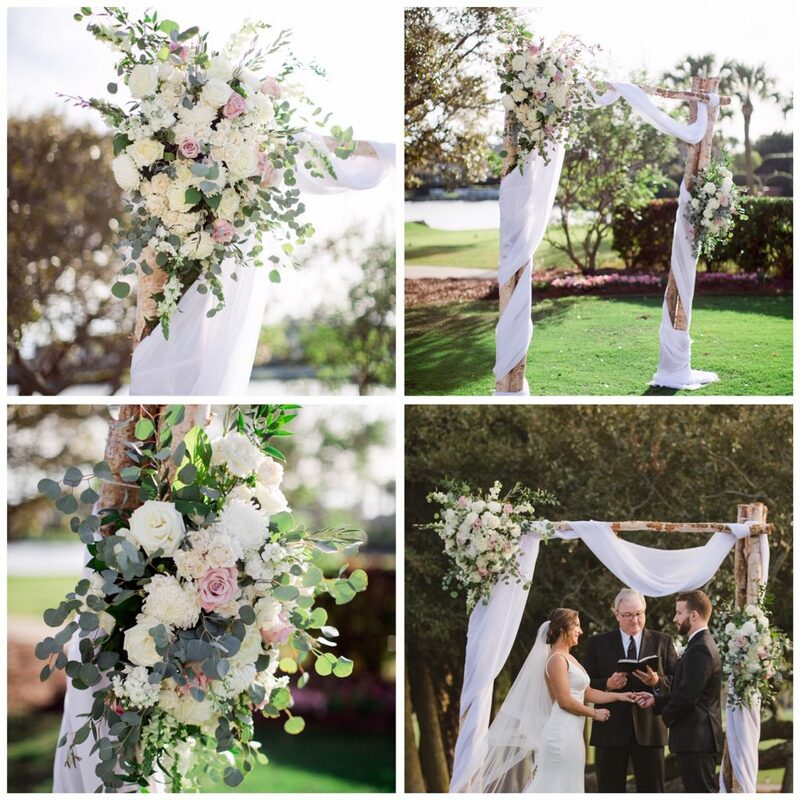 Jaclyn and John said “I do” under a stunning arbor at Ponte Vedra Inn and Club. 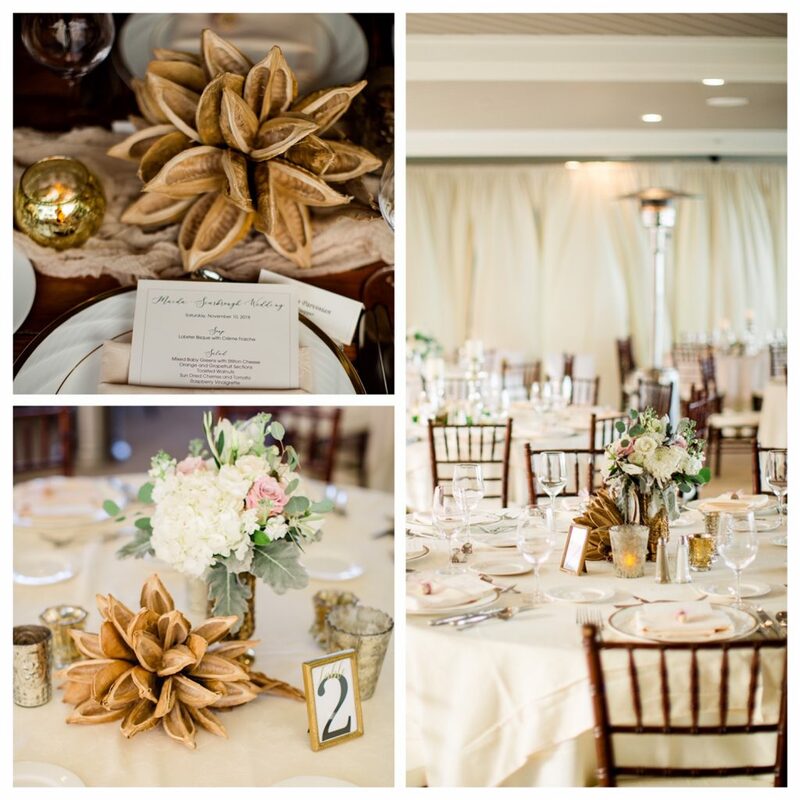 We loved the use of driftwood with her soft color pallet. 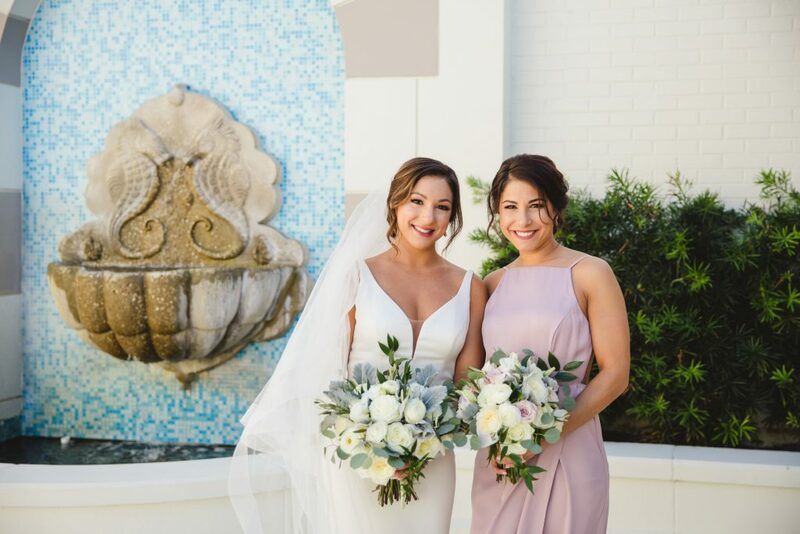 Jaclyn was a joy to work with and we loved creating her floral vision. 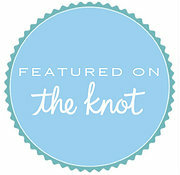 A textured, stem tied bouquet was the perfect compliment to Jaclyn’s Essence of Australia gown. 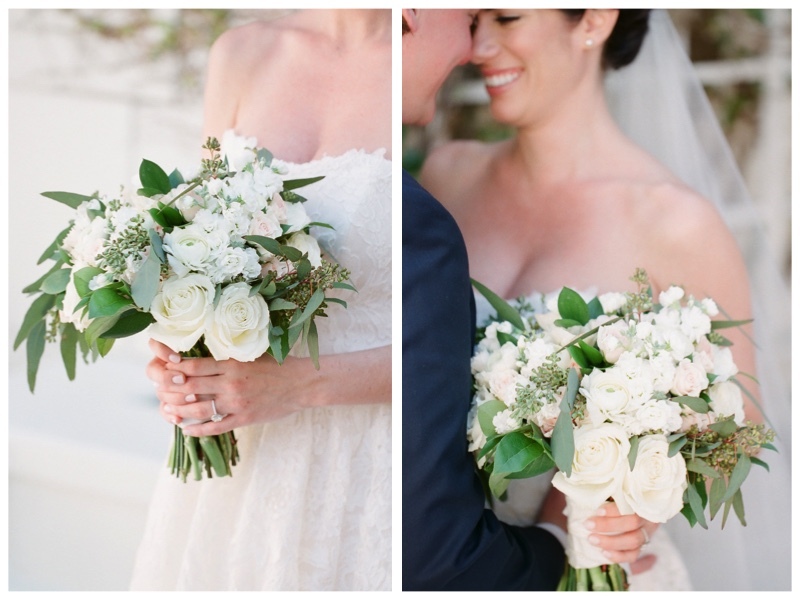 Her bouquet was made with white flowers and greenery. 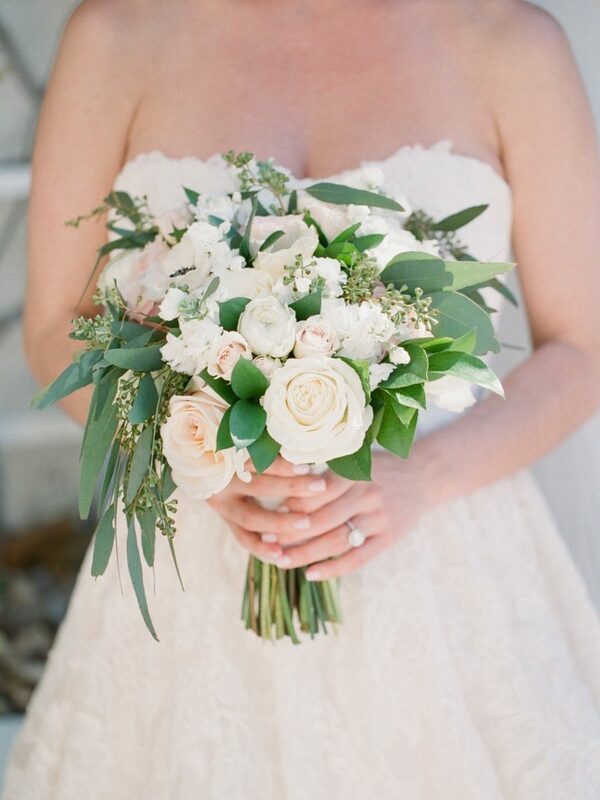 The flowers included garden roses, ranunculus, roses, lisianthus, with dusty miller, eucalyptus, and olive branch. 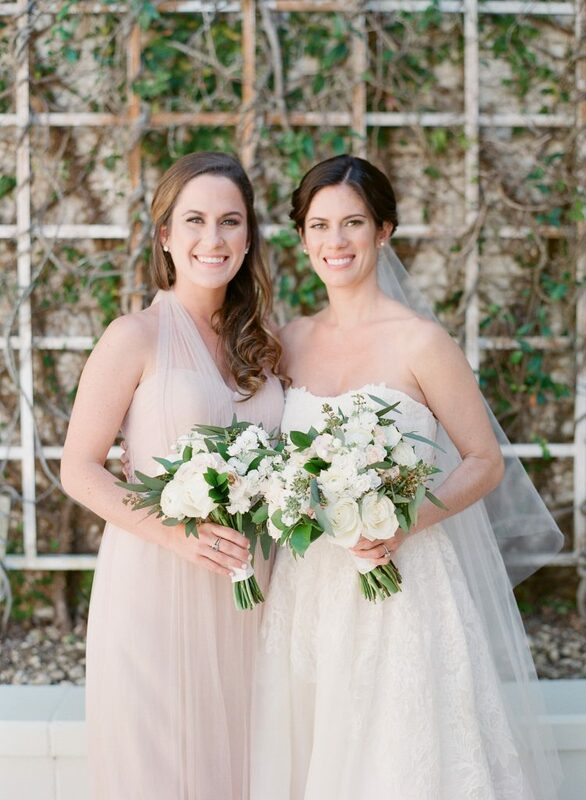 The bridesmaids carried smaller versions of Jaclyn’s bouquet, but also included touches of blush. 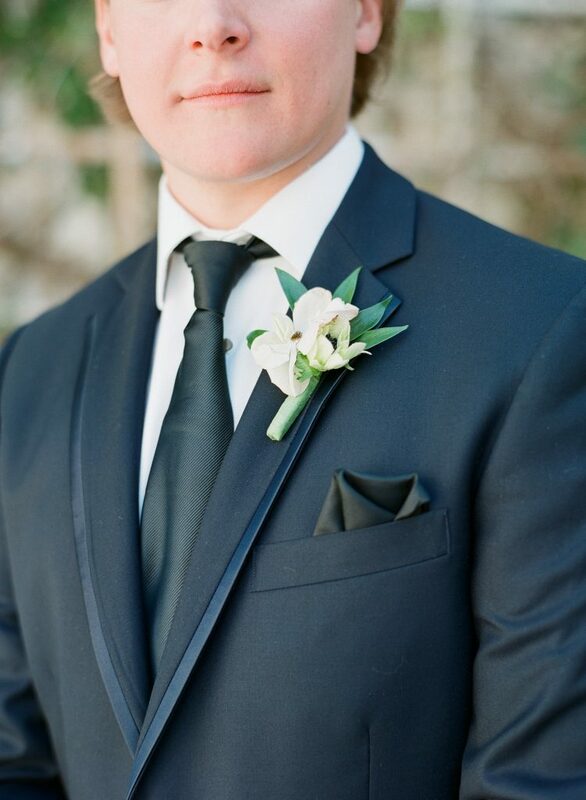 John and his groomsmen wore boutonnieres made of white ranunculus, dusty miller, and olive branch. 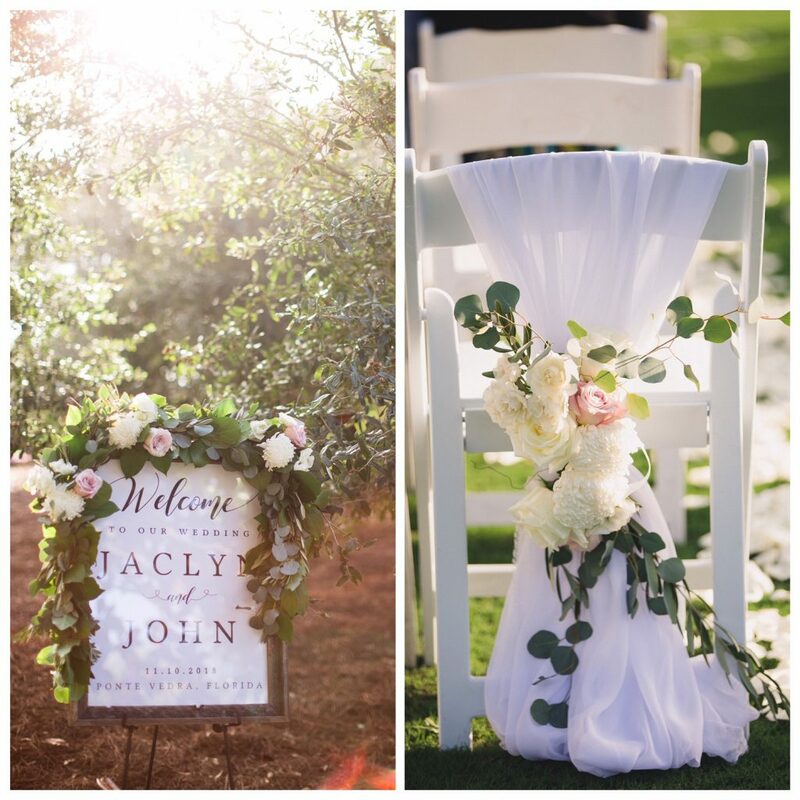 Upon entering the ceremony guest were welcomed by a sign draped with greenery and flowers. 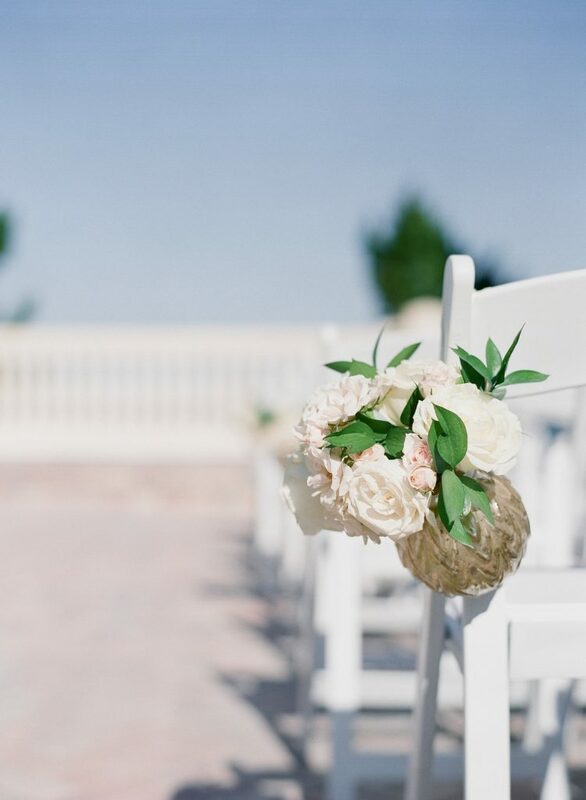 The entrance chairs to the aisles were accented with sheer fabric, white, blush, and dusty rose flowers and greenery. 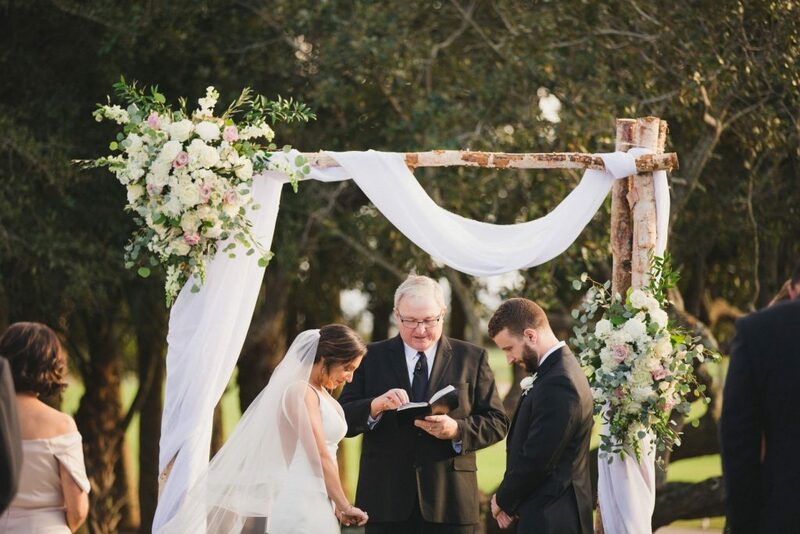 Jaclyn and John became husband and wife under a stunning arbor. 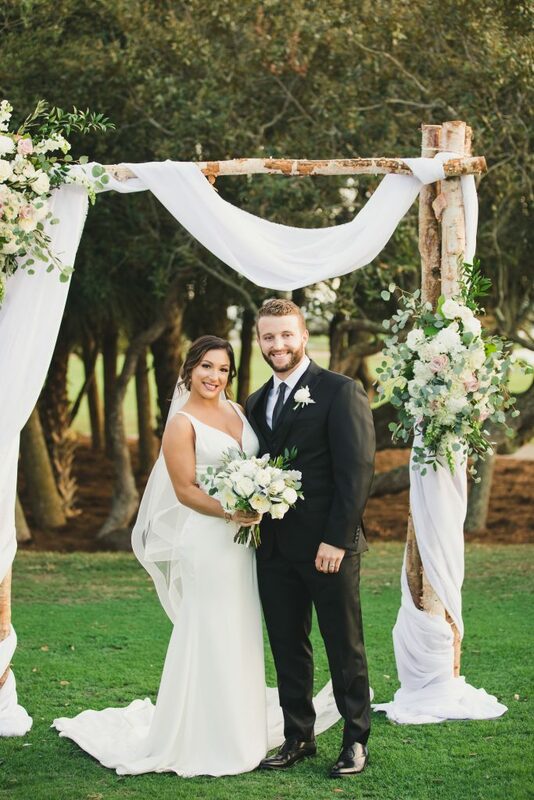 The arbor was draped with sheer material and had two spray arrangements attached. 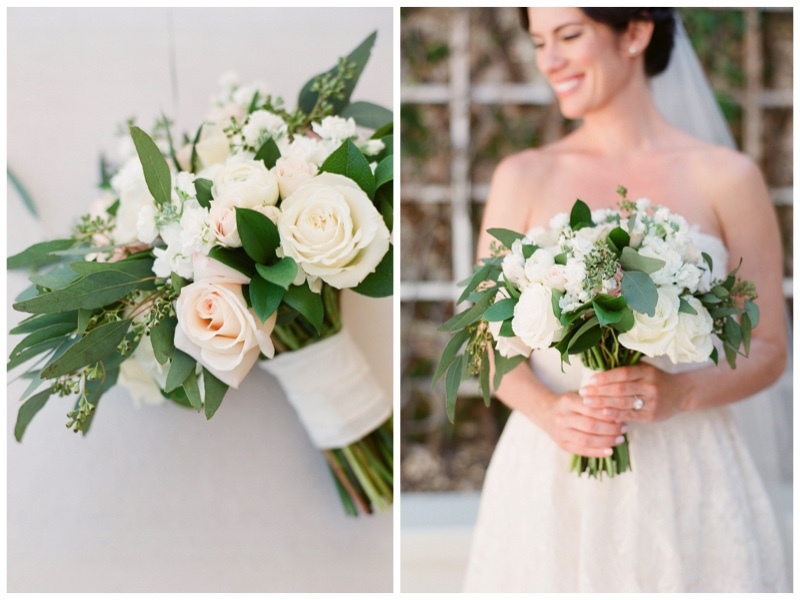 The sprays were made of white and blush flowers with greenery. 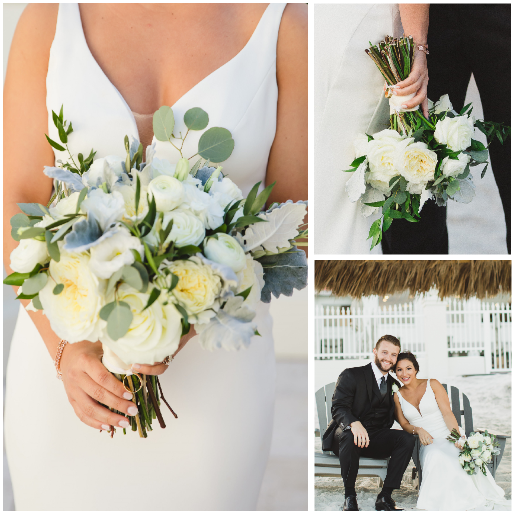 The driftwood and pods were the perfect touch for this gorgeous beach wedding. Guest tables had a variety of centerpieces. 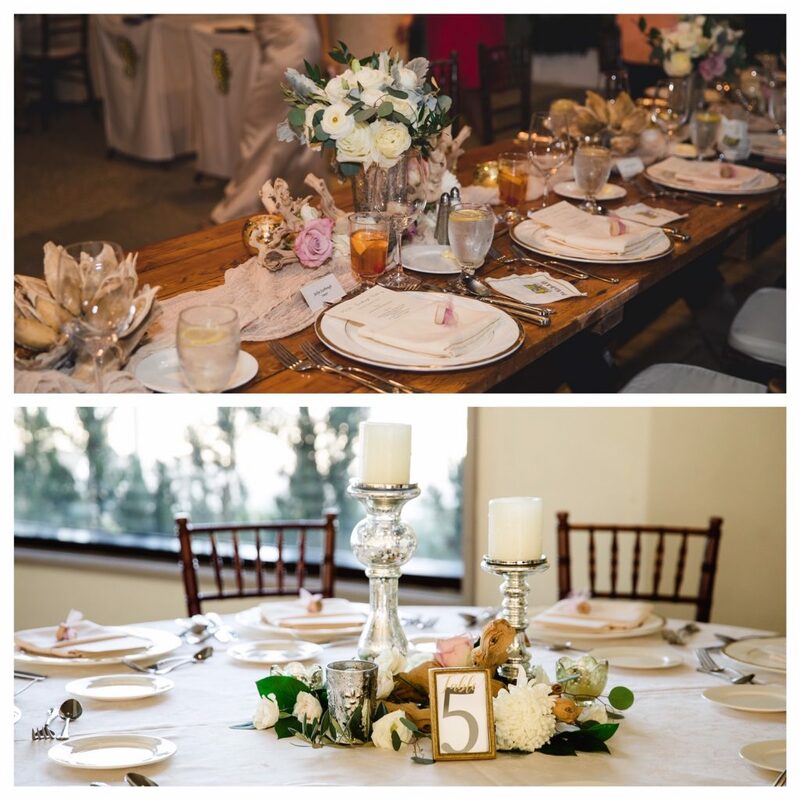 Some tables had an eclectic arrangement created with a pod surrounded by gold and silver votive candle holders and an arrangement of complimenting flowers and greenery. 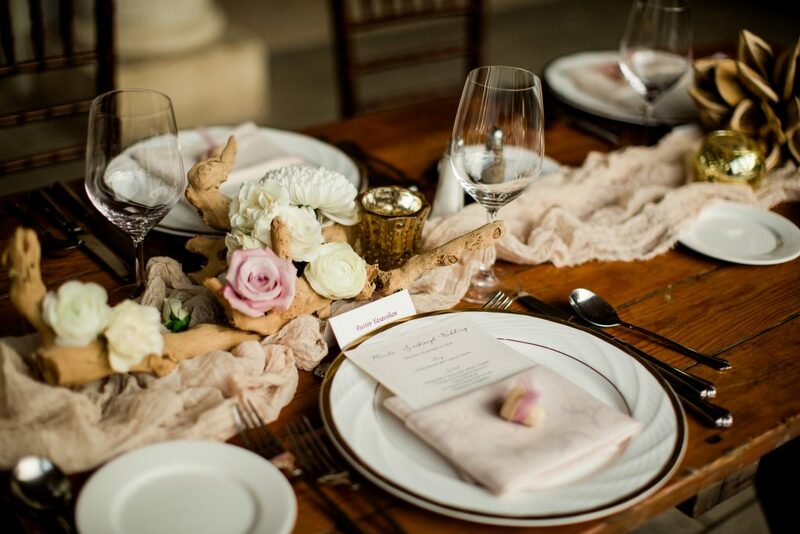 Other tables had a silver mercury candle holders mixed with driftwood accented with blush, white, and dusty rose flowers and greenery. 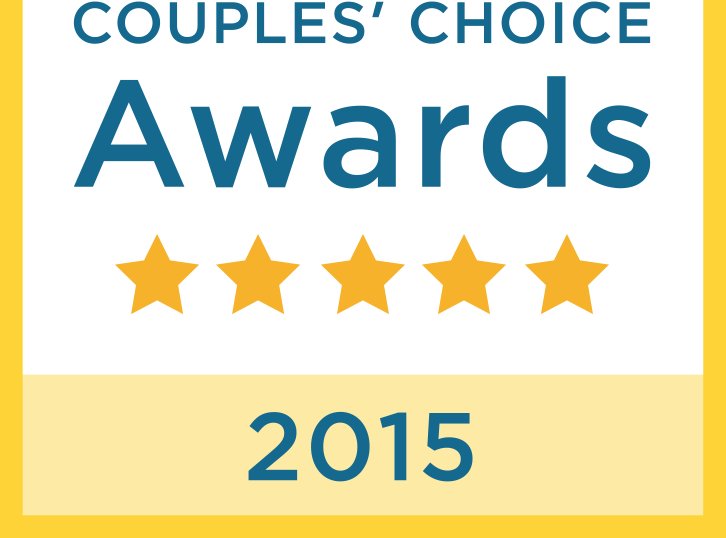 Sarah and Tom had a simple, elegant wedding at The Ponte Vedra Inn and Club. A beautiful garden inspired reception followed. 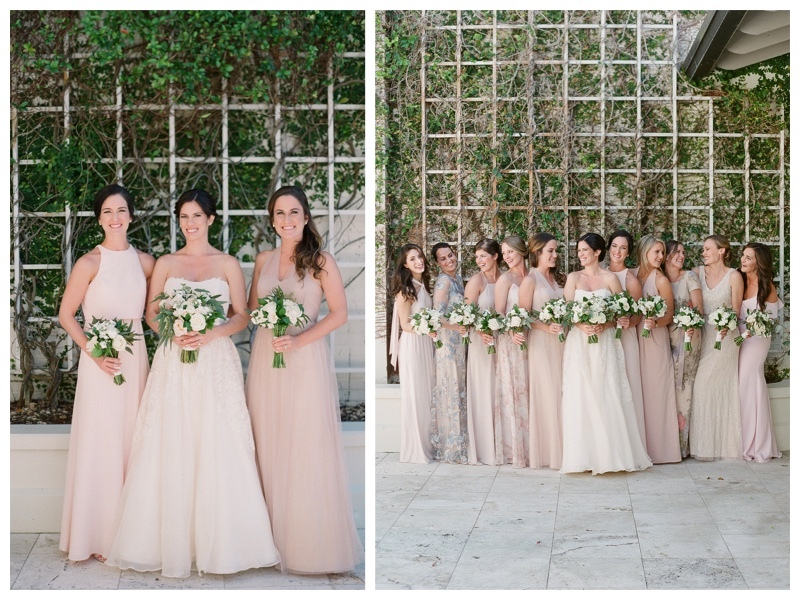 We loved working with Sarah to create her classic, romantic garden floral vision. 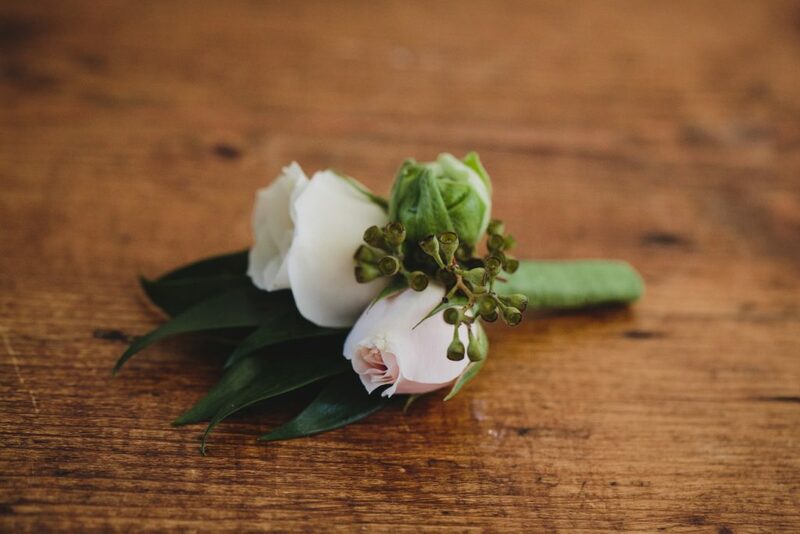 Sarah’s bouquet was created with blush roses and spray roses, white anemone, ranunculus, and stock. Touches of seeded eucalyptus and dark green foliage gave it the perfect garden look. 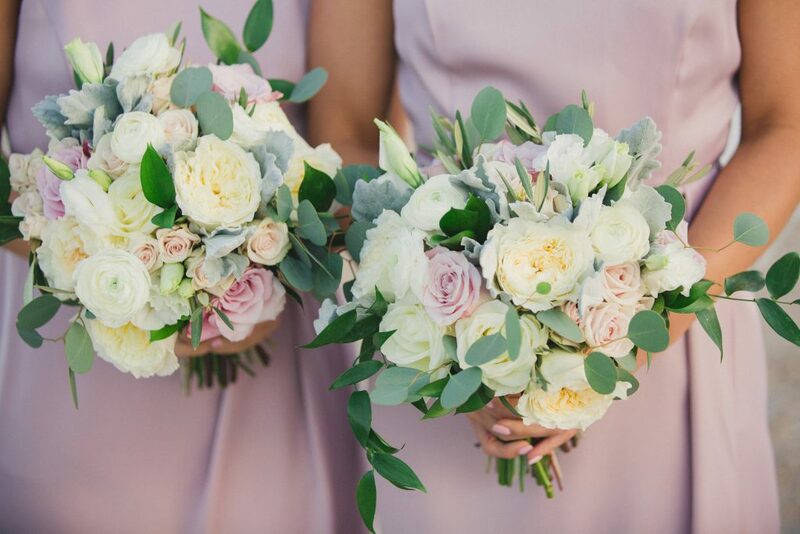 The bridesmaids carried bouquets of ivory roses, white ranunculus with touches of blush spray roses. There were accented with seeded eucalyptus and dark green foliage. Tom’s boutonierre was a white anemone with greenery. 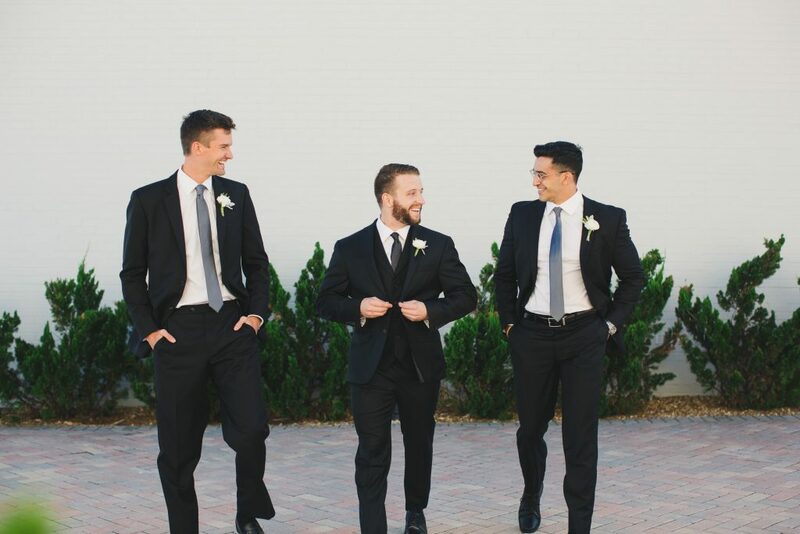 The groomsmen wore ones created with white spray roses and greenery. 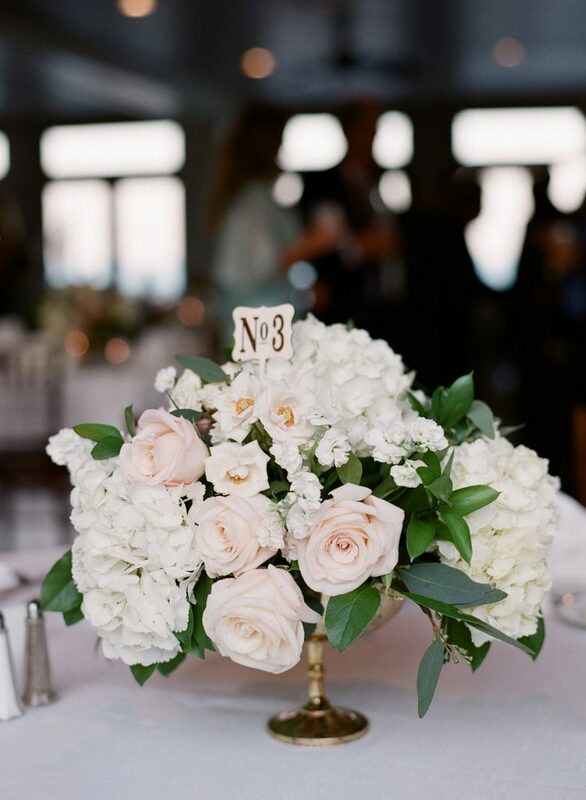 Gold vases with white roses, blush spray roses, and dark greenery were tied to charts using white ribbon. 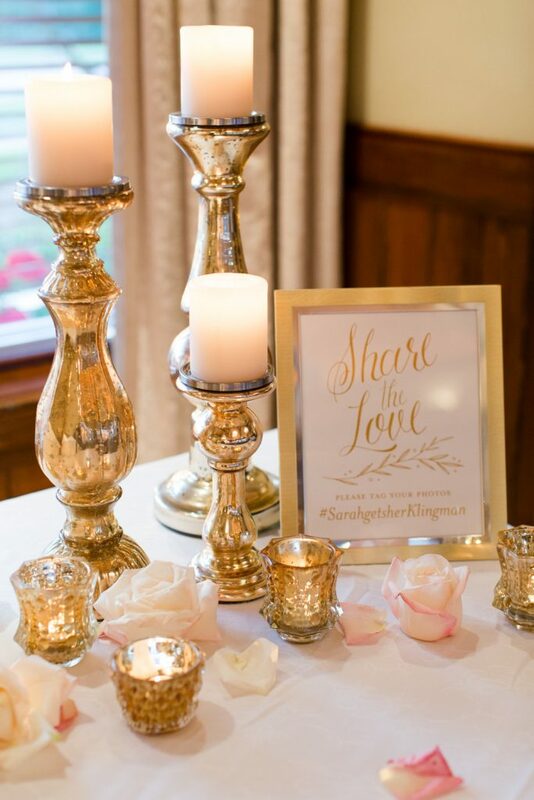 The guest book table had a set of gold mercury pillar candle holders with a mix of gold mercury votive candles holders. The candles were accented with white and blush petals. 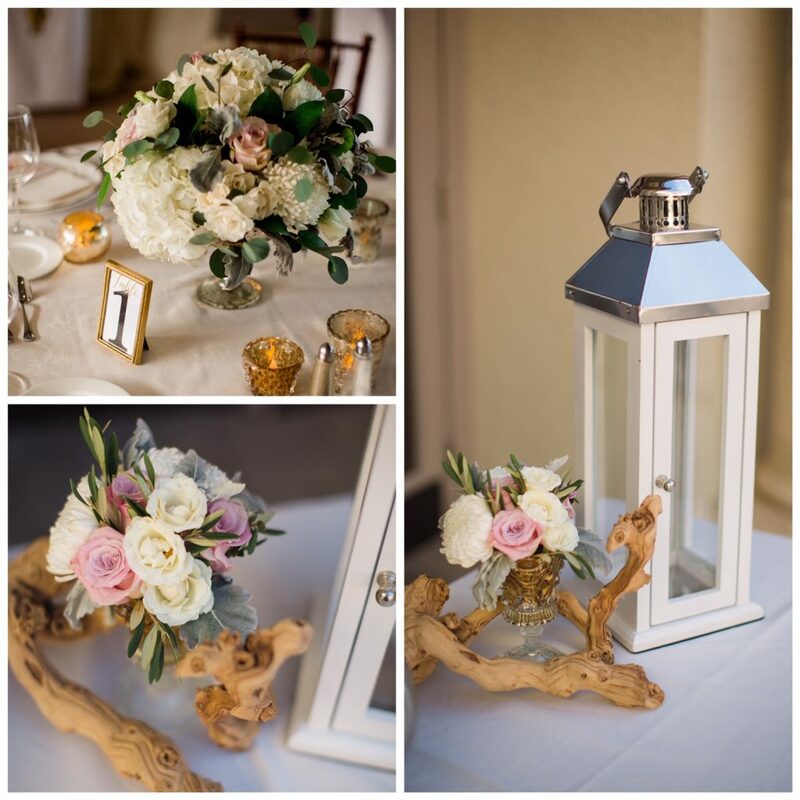 Guest tables had low centerpieces created in a gold mercury pedestal vase. 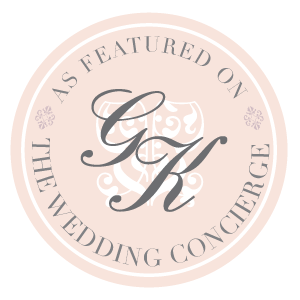 The arrangments were made of roses, hydrangeas, spray roses, and spray stock in white and blush. It had touches of dark green foliage.